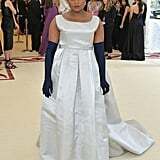 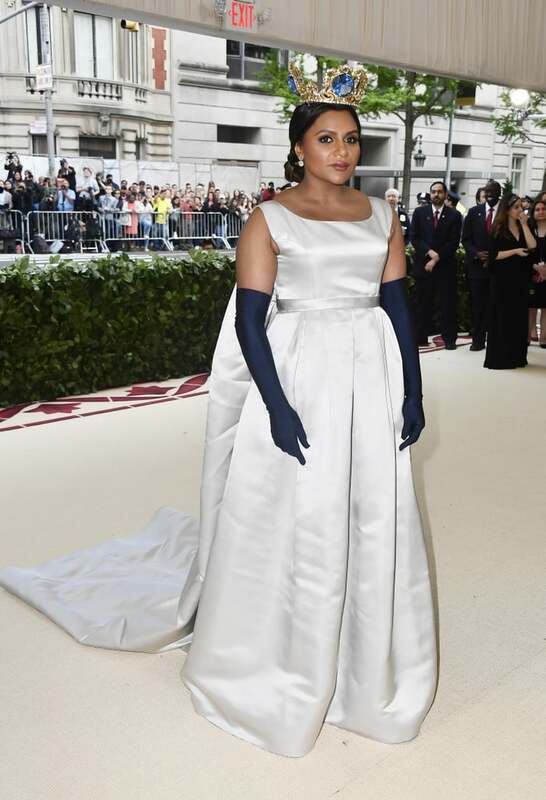 Mindy Kaling waltzed into the 2018 Met Gala like the queen that she is. 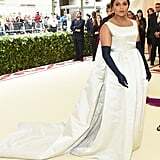 The 38-year-old actress arrived at the very exclusive, high-drama event in a silver Vassilis Zoulias gown and navy elbow-length gloves. 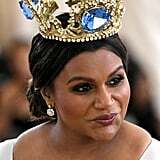 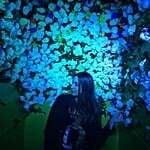 Tying in the religious — and slightly medieval — "Heavenly Bodies" theme, Mindy wore an opulent crown with massive blue jewels. 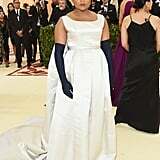 Though Mindy has attended the Met Gala several times years prior, this is her first time since filming Ocean's 8, which is primarily centred on the event! 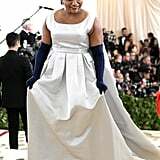 With her other co-stars in attendance — ahem, Rihanna — it looks like the gang is back together for fashion's biggest night.